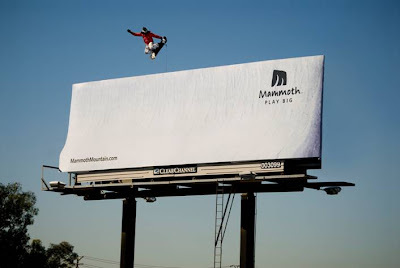 "A billboard that David&Goliath created for Mammoth Mountain ski resort." Without doubt one of the best billboards I've seen - I have to go to Mammoth!! The billboards on your site are quite funny and interesting. really good stuff! heavy billboards lighten brains!!!! errr... that would be a /snowboard/ apparently it wasn't a good enough design to capture attention for very long.